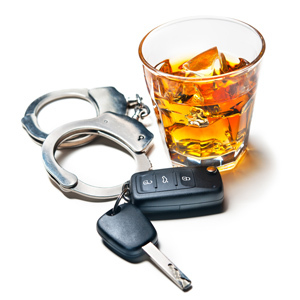 States may not prosecute suspected drunken drivers for refusing warrantless blood draws when they are arrested, the U.S. Supreme Court ruled in a 7-1 opinion on Thursday that found such tests violate the Fourth Amendment. The majority opinion (PDF) by Justice Samuel A. Alito Jr. held that states may, however, require a warrantless breath test incident to arrest because such tests are less intrusive. That portion of Alito’s opinion was joined by five other justices. The physical intrusion for breath tests “is almost negligible,” Alito wrote. Blowing into the mouthpiece of the testing machine “is no more demanding than blowing up a balloon,” he said. The air exhaled by humans is not part of their bodies, and “humans have never been known to assert a possessory interest in or any emotional attachment to any of the air in their lungs,” he wrote. In addition, the breath tests are capable of revealing only the amount of alcohol in blood, unlike the collection of DNA, Alito said. And the breath test is likely to produce no greater embarrassment than is already inherent in the arrest. “Blood tests are a different matter,” Alito said. They are more intrusive than blowing into a tube, and the preserved sample could yield more information than a blood-alcohol reading. The decision overturns the North Dakota conviction of Danny Birchfield for refusing to submit to a warrantless blood draw for alcohol. The court said the state had not presented any case-specific information suggesting exigent circumstances justified the search. The court found no problems with Minnesota’s prosecution of William Robert Bernard Jr. for refusing a breath test. A third defendant, Steve Michael Beylund, claimed his consent to a blood test was not voluntary because of an officer’s inaccurate warning. The court remanded his case for re-evaluation. Alito’s opinion was joined in full by Chief Justice John G. Roberts Jr. and Justices Anthony M. Kennedy, Stephen G. Breyer and Elena Kagan. Justice Sonia Sotomayor, joined by Justice Ruth Bader Ginsburg, would have ruled that both breath and blood tests are unconstitutional when obtained without a warrant, unless there are exigent circumstances. Alito responded to that argument in the majority opinion. “If a search warrant were required for every search incident to arrest that does not involve exigent circum­stances, the courts would be swamped,” Alito said.